Digital technology is changing the way most institutions do business and higher education is no exception. I have always questioned whether universities, which in my humble view are typically slow to change, are keeping pace with societal demands for advancing technology. In this column, I specifically focus on the use of social media in my administrative role. I am no expert in digital technology, but I did take up Facebook early on and am now an active Twitter user. I am intrigued by the way that technology has advanced so quickly and changed the way people communicate and interact with one another. I am also thoroughly amazed at how young children, some as young as three or four, are so quick to grasp how to work a tablet or a computer. At the university, I see most students either on a phone, tablet or laptop – and most, if not all, are engaged with some sort of social media platform. According to a recent report from Ryerson University’s Social Media Lab, 84 percent of Canadian adults who are online have a Facebook account, 59 percent are registered with YouTube, 46 percent with LinkedIn and 42 percent with Twitter. Other social media platforms included in the report are Pinterest (38 percent), Instagram (22 percent), Snapchat (37 percent) and Tumblr (11 percent). In the group aged 18 to 24, the percentages are higher in all platforms except LinkedIn. In fact, these same researchers note that Canada is one of the most connected countries in the world. In my view, if we want to reach students – potential or existing, young or mature – we need to explore new ways to engage with them. While I am not a futurist, I believe it is this younger generation that will revolutionize education and, in particular, universities. In the past, if we wanted messaging to get out to the public domain, we relied on communications and marketing departments to assist with the process. While postsecondary institutions still need to do this, social media platforms have provided more room for faculty, administrators and others in the university to develop their own communications strategy and to get their particular message out in a rather cost-effective manner. It does take some planning but, generally, with little effort you can reach a large audience relatively quickly. Let me use an example. It is likely that most of the universities across Canada had little, if any, knowledge about the work we were doing at Laurentian University in the area of Indigenous education. This may be due to our size and distance from larger cities. However, social media has played a role in helping us to tell this important story. On a personal level, I adopted Twitter specifically as a way to share information about Indigenous education generally as well as specifically at my own institution. I also thought it would be a great way to connect with others more broadly. I felt it was important to share what we were learning and doing to respond to Indigenous community needs in higher education. There are challenges of course with using social media. Inevitably negative messages quickly go viral and it can be difficult to respond. 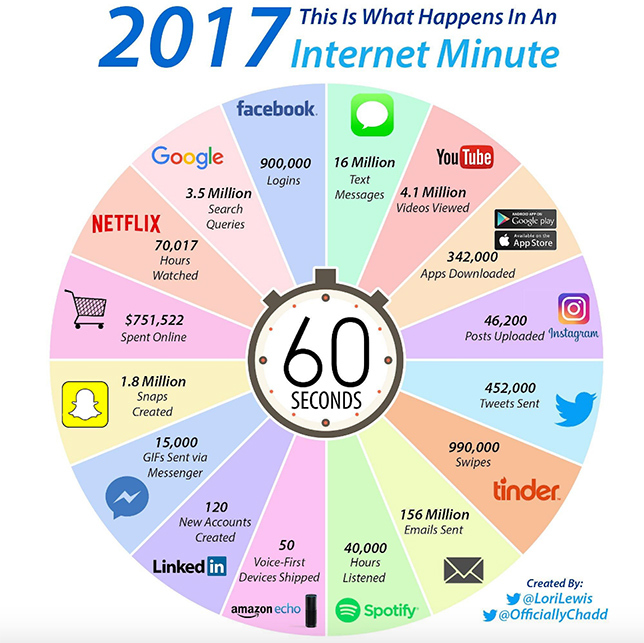 Lori Lewis and Chadd Callahan of Cumulus Media noted that every minute on the internet in 2017, on average 452,000 tweets were sent, 900,000 people logged into Facebook and 4.1 million videos were viewed on YouTube. We cannot simply leave people with unanswered questions and must be willing to go the extra mile to respond. This can be challenging as it adds to one’s existing workload. And, because of the pace of social media, time is of the essence. On Twitter, it also requires being thoughtful about the use of your 280 characters. As well, even if you’re using your own account, you need to remember that, as an administrator, you are connected to your institution. Your use of social media comes with a responsibility to respond. I believe that the university sector overall needs to strengthen social media outreach, including developing courses and programs about the digital transformation of our world. Even communities we may have thought would be less likely to be engaged in the use of social media platforms are now embracing it. The website Education Dive published a short piece that noted minority communities rely heavily on social media. Others have found that Indigenous communities are using social media in far greater numbers than what we may have thought.